My favorite would be a tie between Starry River of the Sky and False Prince – but really, they were all terrific! 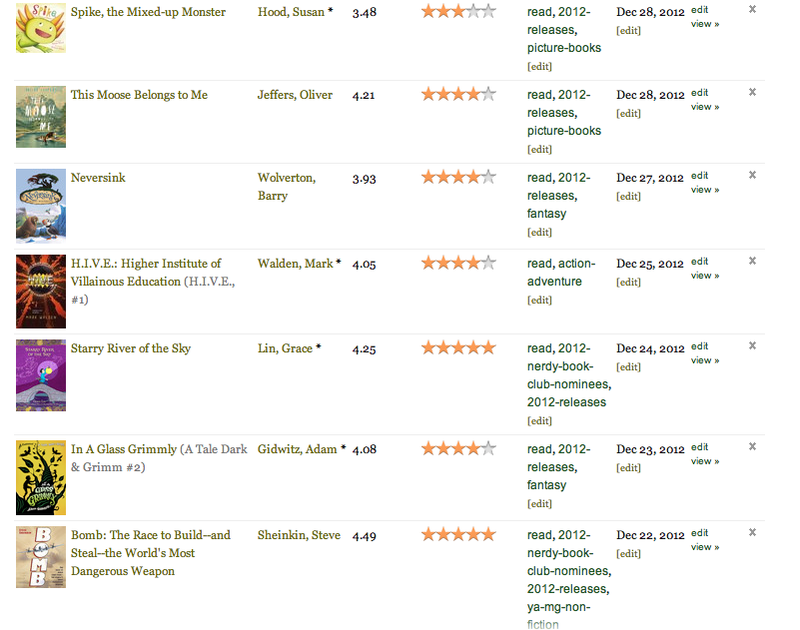 And I'm making a new reading goal for 2013. 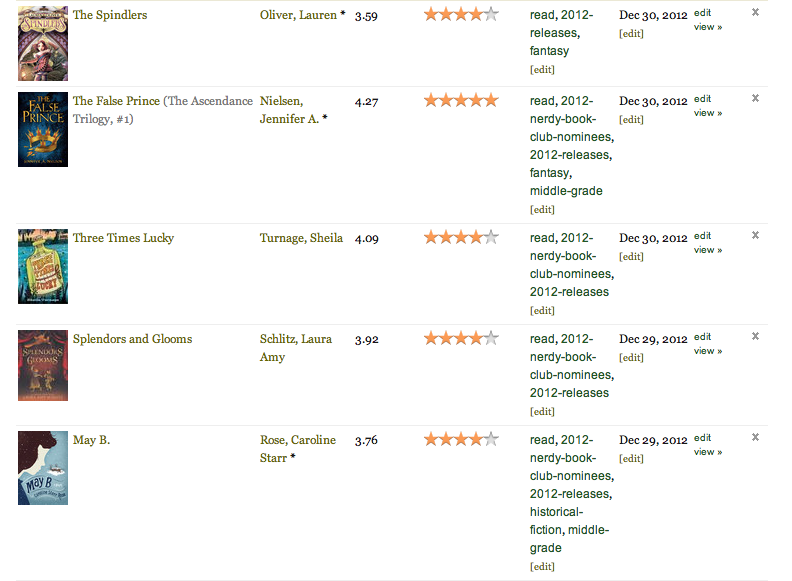 300 books was my goal this year. With one day to go I hit 506. Woo hoo! Debating goals for next year right now. Sorry - took a week off from the blog so I could actually enjoy Christmas with my family AND read some fabulous books. I'm glad to say it was an amazing week and I hope yours was as well. 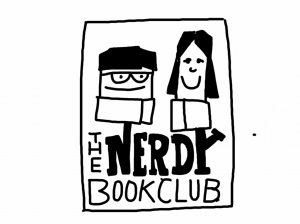 Today I am over at Nerdy Book Club announcing the winners in the Graphic Novel category. Please come on by! CLICK HERE to head to read the winners. Donalyn Miller asked on Facebook this morning, what was our favorite holiday movie? I have so many that I love – Christmas Vacation, Love Actually, A Christmas Story, The Snowman (based on Raymond Briggs picture book), and more. There is one, however, that rises to the top. On December 3, 1978 Christmas Eve on Sesame Street was first aired. I have a feeling I didn’t see it that year, my baby brother was a month old, I was four. But I know I saw it almost every year after that (and might have seen it that year, who knows.) 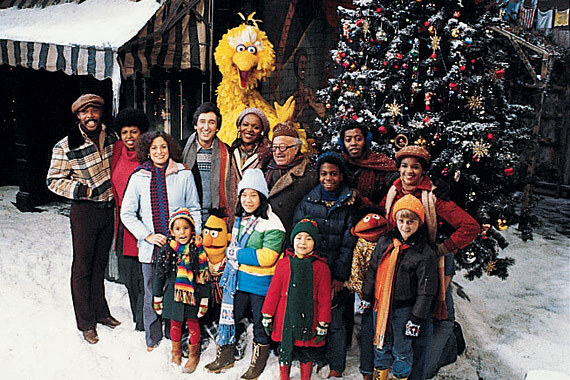 It became tradition in our house to watch it whenever PBS decided to air it. As an adult, I bought the VHS tape and was in heaven. I could watch it whenever I wanted. Then, sadness, we got rid of our video player. Luckily I came upon the DVD and quickly snatched it up. So now I share it with my own children. Every year on Thanksgiving we have our first viewing. Since I am a person built on tradition, we also have Cream of Broccoli soup too – another memory from childhood and, I swear to you, the best soup in the entire world. My boys groan but then watch it with me. It is perfection. This year I was scanning the house for The Polar Express DVD to take to school on Friday. I had promised my students we could watch a movie. 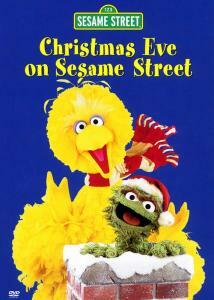 When I couldn’t find it, I grabbed Christmas Eve on Sesame Street. Jumping in the car Luke, my fourth grade age son, looked at me and raised his eyebrows. I asked what he meant and he replied something to the effect that fifth graders are not going to love that movie. I told him I’m sure they would. When I told my students I brought a movie I began to explain the importance of this movie to me. I then explained the history of it, why I loved it, and how I hope they would know a little more about me after seeing my favorite movie. They all gathered in our library to watch it. The movie begins with a skating scene and the song “Feliz Navidad”. Quietly, a few kids at first, then more kids, began singing along. By the end of the movie they cheered. I’m not sure if they loved it as much as I did, or just wanted me to feel ok about sharing it, but I’m glad I brought it in. What I can’t explain to them, or to my own children, is that to me this movie is more than a movie. Like my favorite books, it has memories wrapped into it. When I watch it I see the movie, but also remember being a little kid. I remember growing up watching this, the excitement of waiting for Santa, the anticipation of what gifts I would get. I remember my parents when they were my age, my siblings as the kids they were then. This movie represents my childhood and all that was magical about it. It is one of my favorite traditions. I met Chris at NCTE 12 but have followed him on Twitter for awhile. After leaving Vegas, Franki Sibberson raved about a presentation Chris gave on Sunday (which I had to miss). So, to console myself, I purchased his new book: Energize Research Reading and Writing. Pure brilliance! I’m using it to inspire a non-fiction unit in reading and writing when I return from break. Isn't that just inspiring? Thanks for this post, Chris. And for all of you...what is holding you back? What do you really want to do? Now is the time, go for it! I think knowing kids and what they can handle at this time of the year is critical. My students have been wrapping up their own comics in our writing workshop – polishing the final drafts. In reading we’ve been a part of a Mock Caldecott unit. Each day has found students spread across the room, examining picture books, debating the medium the illustrator used, voting for favorites. There have been some amazing discussions I’ve eavesdropped in on as well. Ones about horrific events – Sandy Hook – but ones about wonderful things as well. There have been book recommendations, discussions about books for reading over break. Comments about the dance some are going to on Friday. And plans made to get together over the next two weeks. Today I added to the conversation. Project for Awesome is wrapping up, raising more than $450,000 for charities. I wore my “Keep Calm and DFTBA” t-shirt to school today. Shared what the Project for Awesome did. 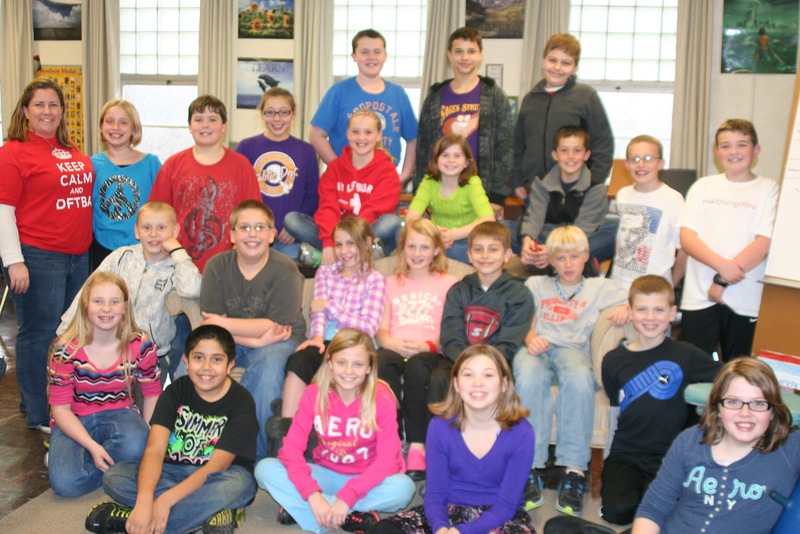 I taught my students about the website Kiva. We discussed how we can each impact the world. And then I showed my students the video below. We discussed how we are all more alike than different. How if we can open our hearts to others, the world would truly be a better place. And we thought of how blessed we are. This time of year many of my students are looking forward. Making lists of everything they “need” for Christmas. Today was a great reminder to us all; often we have all that we need. We are truly blessed.